Building Materials/Description: Brick, $65,490. Three story dark red brick courthouse with cast stone details. Features projecting entrance porch, flat roof, roof parapet, and 1/1 [replacement] sash windows. Very rectalinear horizontal building, balanced with emphasis on verticality in the center. 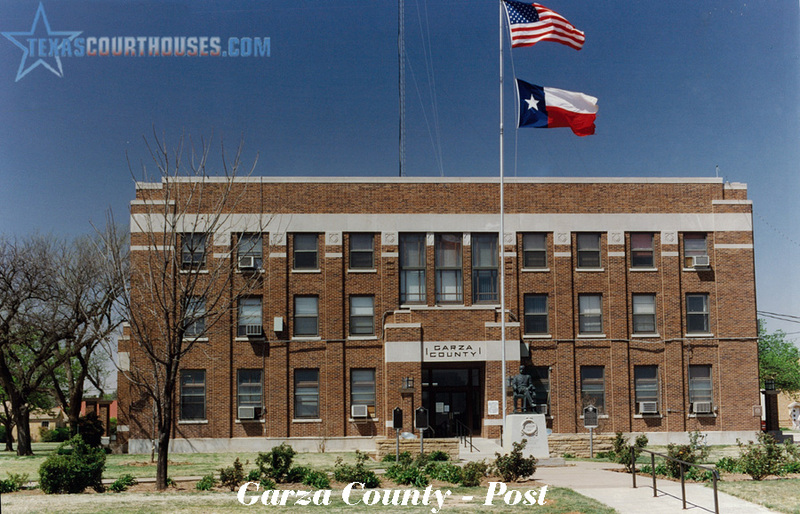 The Garza County Courthouse (1923) in the Texas South Plain’s town of Post, is a three-story reinforced concrete structural frame building veneered with brick and cast stone. The rectangular plan building is 95 feet long on the north-south axis and 50’-8” wide on the east-west axis, and features a central plan with entrances on the north, south, east, and west elevations. The main entry is located on the east elevation, and is distinguished from the other elevations by three long windows stretching between the second and third floors. The courthouse displays a classical form with simple horizontal massing and symmetry, but specific architectural details are influenced by the Prairie School and include decorative window glazing, cast stone medallions, and light fixtures. Surrounding the courthouse is a modern, one-story brick, Sheriff’s Office to the west, and the original jail to the north. The courthouse is situated in the center of Post, an early twentieth century train town arranged on a grid plan. Development around the courthouse is spare and consists mainly of recent commercial properties, residential housing, and a church. the court awarded a contract of $5,044 to F. L. Maupin to erect a stone, two-story, rectangular plan courthouse. The building was completed in June or July of 1908. In May 1908, the Commissioners Court ordered that a lumber “calaboose” or jail, measuring 8’x14’ with 8’ walls, be erected on the site of the courthouse. Three months later, the Commissioners Court ordered that the courthouse furniture be moved into the new building. During October of 1922, Carlander met with the Commissioners Court on at least on one occasion. Court records do not indicate the extent or substance of that meeting, nor whether other meetings took place to discuss the county’s needs or desires for the new courthouse. For his work, Carlander received $2,250, 3% of the estimated $75,000 project. 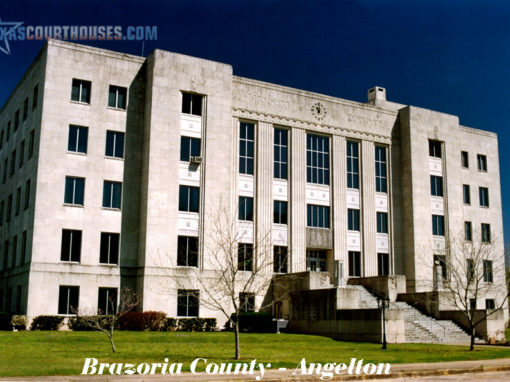 On December 20, 1922, the Commissioners Court advertised for bids. On the appointed day, bidding opened, with the Fred T. Bone Construction Company of Amarillo winning the contract as General Contractor for $65,490, and the plumbing and heating contract going to James Samson of Post for $7,651. All contractors agreed to start work on March 1, 1923 and finish within six months. The Southern Steel Company of San Antonio entered into a separate $5,635.00 contract to construct two steel cellblocks. The contract specified construction needed to be completed within 60 days after the courthouse was finished. The total cost for the courthouse and jail totaled $81,026 (including Carlander’s fees), slightly under budget of the $82,000 bond issue. This total did not include interior furnishings, and as the project neared completion a committee traveled to St. Louis in July of 1923 to purchase furniture. The courthouse was completed and occupied sometime in August or September of 1923. 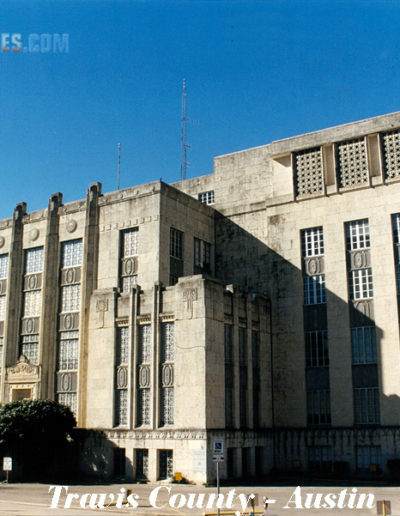 Commissioners Court officially accepted the courthouse on November 26, 1923. With the exception for the official actions of the Commissioners Court, exact dates of courthouse activities are unknown, as copies of the Post City Post, the only newspaper in the city during this period, were lost as a result of water damage.